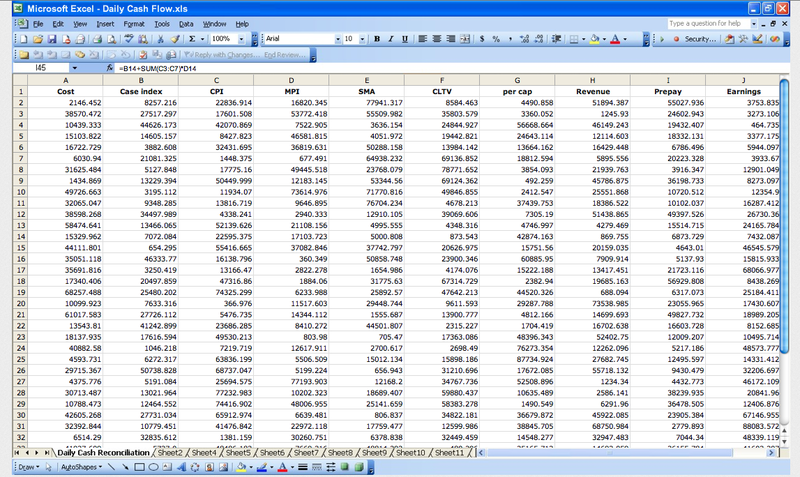 See your Facebook or Twitter feed rendered into an excel sheet! You have links to load new posts, as well as to view your wall and recently tagged photos. Hover over comments, likes, names, and links to see more information. 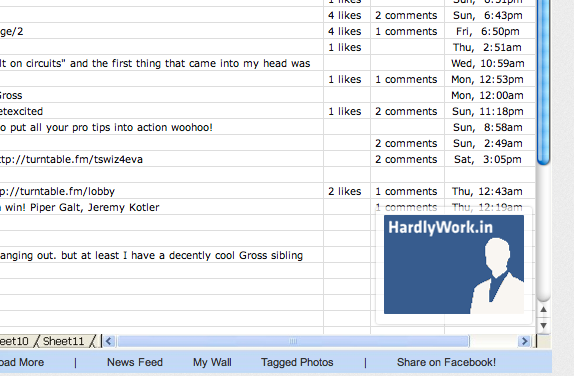 Hovering over comments and likes in Facebook shows your more information. And don't forget: you can search for friends and followers through the formula bar!